Every woman makes choices. And no one has made more difficult choices than Olivia Grayson. The enormously successful businesswoman missed out on much of her children's lives while she built her legendary home-furnishings empire. 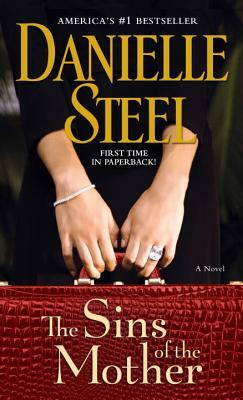 In Danielle Steel's character-rich new novel, Olivia faces the past, tries to balance the present, and makes amends where due, while still running her vastly successful business. As a way of making up to them for time lost, Olivia spends months every year planning a lavish holiday that everyone in her family will enjoy. This summer she has arranged a dream trip in the Mediterranean on a luxurious yacht, which she hopes will be the most memorable vacation of all. Her lavish gesture every year expresses her love for them, and regret at all the important times she missed during her children's younger years. Her younger daughter, Cassie, a hip London music producer, refuses the invitation altogether, as she does every year. Her older daughter, Liz, lives in her mother's shadow, with a terror of failure as she tries to recapture her dream of being a writer. And her sons, John and Phillip, work for Olivia, for better or worse, with wives who wish they didn't. In the splendor of the Riviera, this should be a summer to remember, with Olivia's children, grandchildren, and daughters-in-law on board. But as with any family gathering, there are always surprises, and no matter how glamorous the setting things don't always turn out as ones hopes. Family dynamics are complicated, old disappointments die hard, and as forgiveness and surprising revelations enter into it, new bonds are formed, and the future takes on a brighter hue. And one by one, with life's irony, Olivia's children find themselves committing the same “sins” for which they blamed their mother for so many years. It is a summer of compassion, important lessons, and truth.